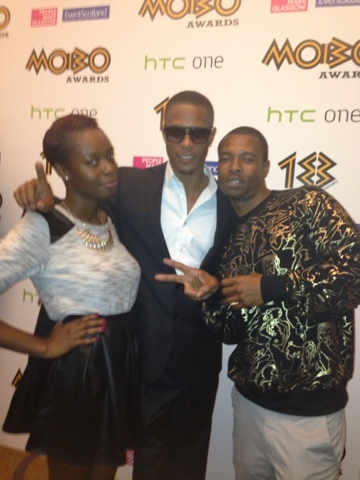 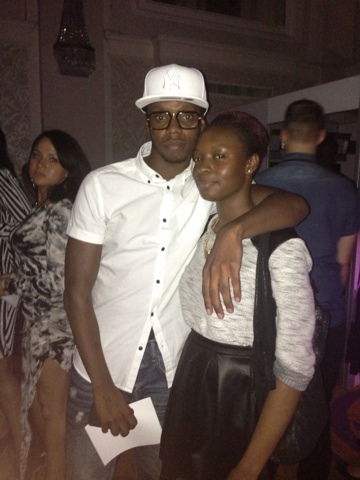 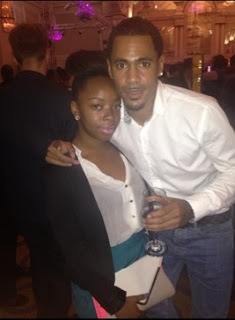 Tuesday the MOBO Awards held their annual nomination party and I was in attendance. 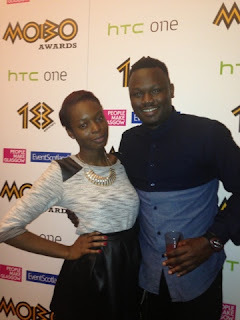 Weeks prior to the nomination party - I was chosen to be part of this years music panel, alongside some other big names in the music industry in the UK. 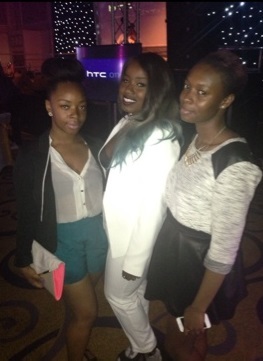 We had to sit and discuss who got nominated - including their chart success from September 1, 2012 - August 26, 2013. Some of who we chose made the final list, some never. 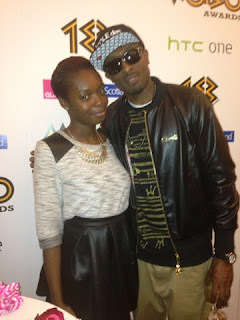 But the experience was a once in a lifetime opportunity, and it was good to see how artists were chosen to be nominated. 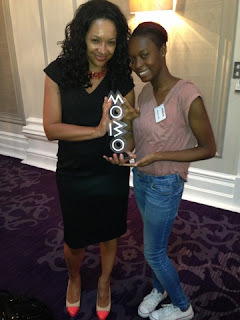 Kanya King and Mobolaji at the MOBO music panel nomination meet - in August. 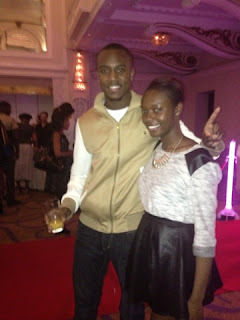 Tuesday evening commenced with the red carpet, and drinks on arrival. 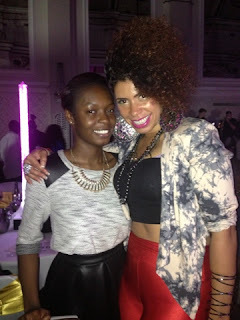 Jessie J, Naughty Boy, Emeli Sande, So Solid Crew and more were all in attendance So Solid Crew opened up the show with a performance of their classic single '21 Seconds' before presenter Sarah-Jane took to the stage to present, later on Kanya King blessing us with a few words. 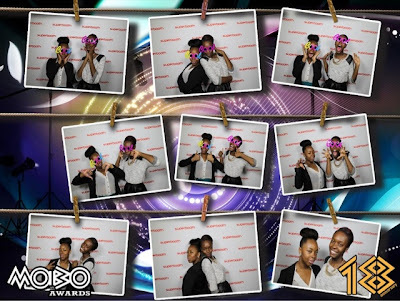 MOBO Unsung winners Insight sang their own rendition of Emeli Sande's 'My Kind of Love', as well as Jahmene Douglas who sang Amy Winehouse's 'Back to Black' with a special acoustic session. 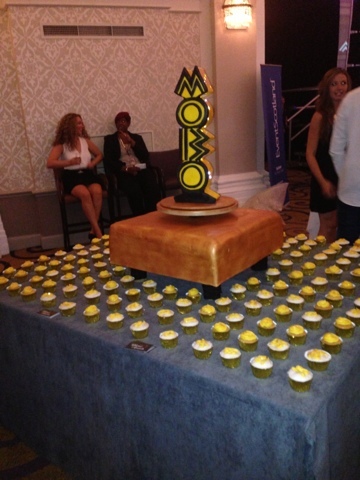 MOBO Awards cupcake and cake stand. The cakes were delicious! Having fun at the photo-booth with my friend Sarah. 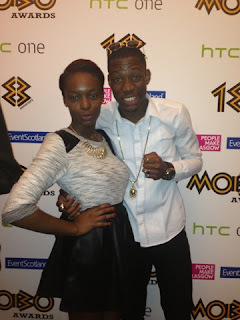 Mobolaji and Mega Man of So Solid Crew | Mobolaji - PHOTO OP! 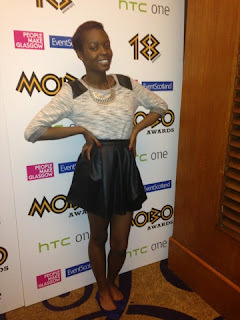 Look out for the next blog post of who got nominated for what!